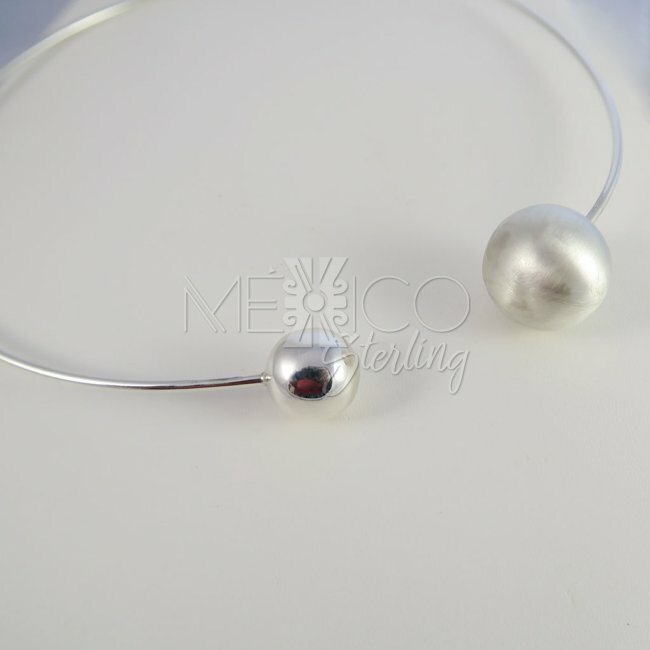 Mexican Silver Worlds Encounter Choker [CHK3274] - $102.00 : Mexico Sterling Silver Jewelry, Proundly from Mexico to the world. Dimensions: Inside Circumference: 17 1/2"
This is an unusual Taxco silver design, contemporary and unique looking. 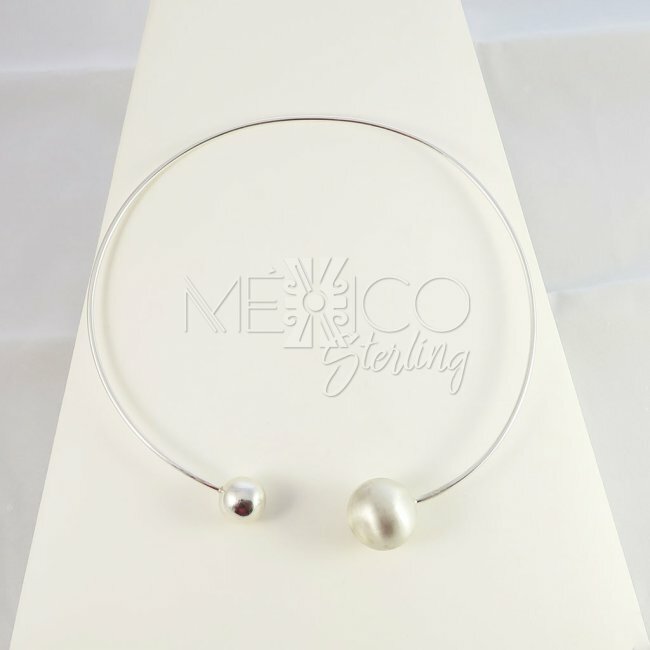 The whole choker carries just 2 charming features that makes the whole composition very special. 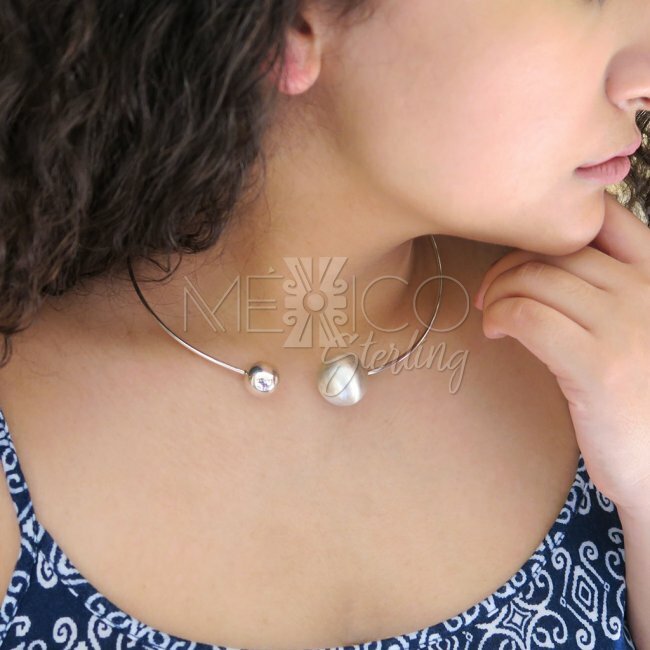 There are 2 silver spheres on each end of the choker, one of them is smaller than the other one. Also, one has a polished silver and the other one has a matte silver surface. 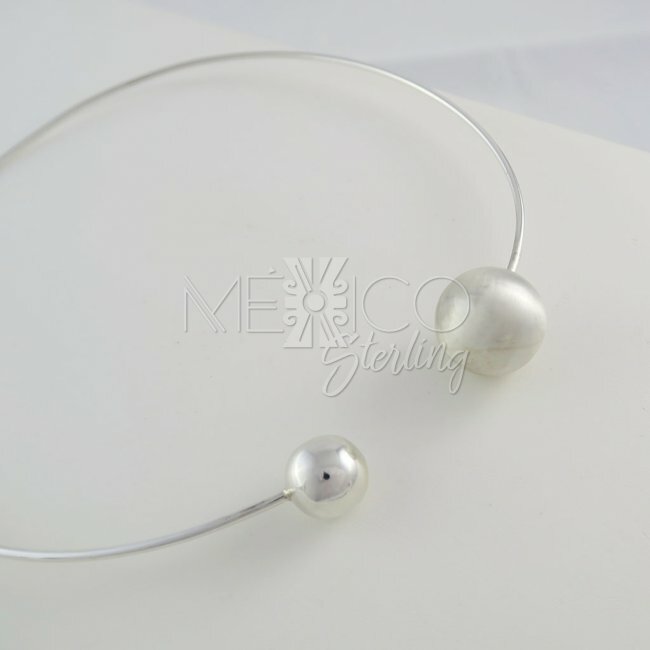 The other special feature on this wonderful silver choker, is the subtle musical sound that comes from the bigger sphere, similar to my angel callers sold here too in my store. 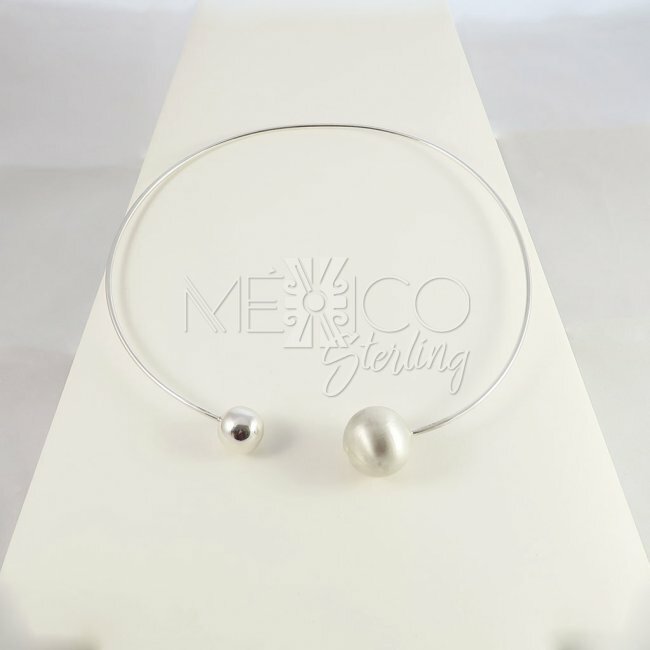 This silver choker is substantial in weight, with a total of 38.8 grams. Please take a look at the other photos, for more details on this silver piece.